If you work in a restaurant or hotel, chances are that you could happen upon a patron who is choking. What would you do? 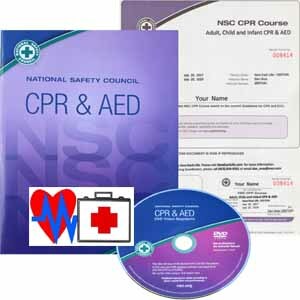 Learn and get certified today! (Note: in Massachusetts, on-line video training is NOT enough, you need hands-on practice on the mannequins, which is what we offer). Would you like to schedule a group training at your restaurant or hotel? We will be happy to help. Call us at (413) 824-9581. Jones Library, 43 Amity St., Amherst, on May 4, 2019, at 11:30 a.m.
Godavari Framingham Restaurant, 1656 Worcester Rd, Framingham, MA 01702 (Boston area) on April 26, 2019, at 5:30 p.m.
Leominster Public Library, 30 West St., Leominster, MA 01453 (Fitchburg / Leominster area) on May 21, 2019, at 7:00 p.m.
Save Each Life, 332 Deerfield St, Greenfield, MA 01301, on April 25, 2019, at 10:45 a.m. (morning class). Save Each Life, 332 Deerfield St, Greenfield, MA 01301, on April 25, 2019, at 6:30 p.m. (evening class). Nonotuck Community School, 221 Riverside Drive, Florence, MA 01062 (Northampton area) on April 20, 2019, at 10:45 a.m.
Hilton Garden Inn Pittsfield, 1032 South St., Pittsfield MA 01201, on June 1, 2019, at 10:45 a.m.
LaQuinta Inn, 100 Congress St., Springfield, MA, on May 25, 2019, at 10:45 a.m.
Sterling Senior Center, 36 Muddy Pond Rd, Sterling, MA 01564 (Worcester area) on April 27, 2019, at 10:45 a.m. So, how do you help a person who is choking? As long as he/she is coughing, he/she gets air, and might be able to expel whatever is in their throat – you should stand by and encourage them to cough. If they succeed in spitting it out – they should be OK. But if they can’t cough or breath, ask permission to help, and when they agree, place a finger on the navel (belly button), make a fist, hold it with the other hand, and push up and back to squeeze the diaphragm muscle, which in turn will force the lungs to push up whatever is in the throat. If the person is able to expel it, they should be OK. But if that doesn’t work? Alas, the person might become unconscious, and then you should lower them carefully on the floor, and do 30 compressions in the middle of the chest (on the sternum), then check the mouth (quickly!) for any dislodged object and scoop it out, then give two breath. If the breaths DO go in, the airways are clear, and the person should be able to breath on their own. If the chest is not rising (the breaths do not go in), the object is still in the throat, and you should do again 30 compression, check mouth, give breaths, and so on. And THAT means doing CPR! Because of this, help in choking is part of the Cardiopulmonary Resuscitation (CPR) and Automated External Defibrillator (AED) training – so you need to take the CPR/AED class. Feel free to click on any of our locations (mentioned above), and chose the one which works best for you. Or, if you prefer, you can have a private training at our location in Greenfield or your own home.